Aitor Delgado Basque Private Tour Guide: San Sebastian in South African Newspaper "IOL"
San Sebastian in South African Newspaper "IOL"
We recently saw some news about San Sebastian, in the Basque Country in a South African Newspaper, called IOL. It is a personal view of this corner of the North of Spain focusing in the gastronomy and the tours and tourists that have come to discover us. Showing ideas like the fact of having the highest number of Michelin stars per inhabitant and the presence of the World's first University of Gastronomy. 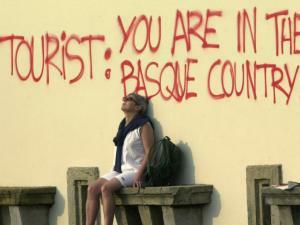 Thanks for helping to spread the voice of the Basque Country in Africa. PS. : I visited Capetown in my travels to Africa and I am very honoured to see that MarliEisern finds similarities of Capetown with the Basque Country. Capetown for me is a really magical town. From the Basque Country, thanks for the compliment MarliEisern!